Chelsea are in talks with Genk over the signing of Kevin de Bruyne, the Belgian club have confirmed. De Bruyne, 20, has been on Chelsea's radar for some time and could be a Blues player by the end of the week after Genk director Dirk Degraen flew in to London for talks. If a deal is completed, it is anticipated the midfielder will be loaned back to the Belgian champions for the rest of the season. "Dirk Degraen is in London and the expectation is that it (the transfer of De Bruyne) will be finished this week," a Genk spokesman said. "The assumption is that Kevin de Bruyne will be transferred to Chelsea and then will finish the season (on loan) at Genk." 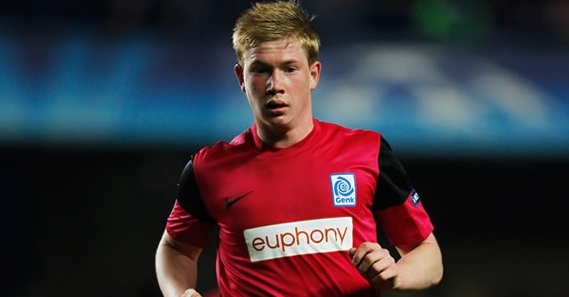 De Bruyne, predominantly a left-sided player, joined Genk at 14 and went on to make his full debut three years later. He forced his way in the club's first team two years ago and helped the Belgian side win the domestic title last term.